An all-white design scheme presents a peaceful appearance to be sure, but Linda Johnson’s home proves the point that a dash of color can truly bring a space to life. 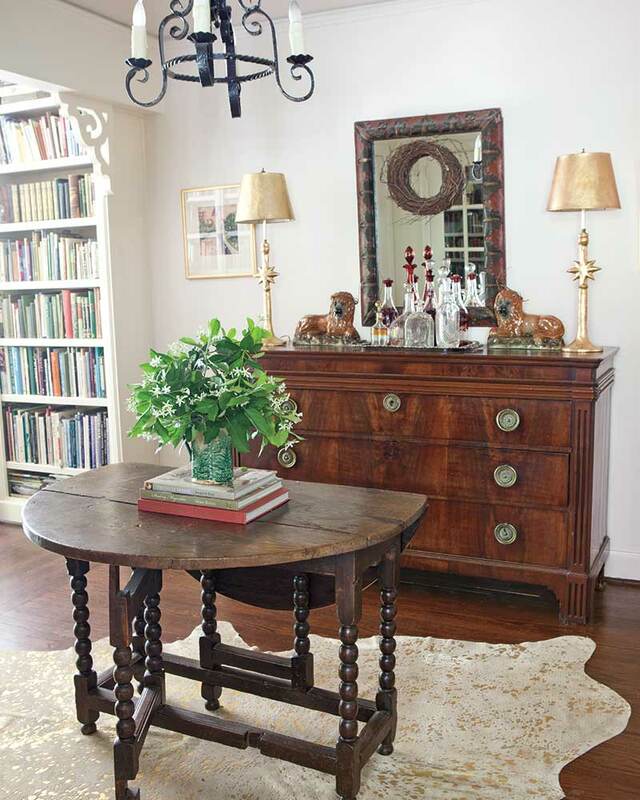 The home’s neutral background allows cherished wood furniture, like the antique gateleg table and burled chest in the central room, to capture its proper attention. 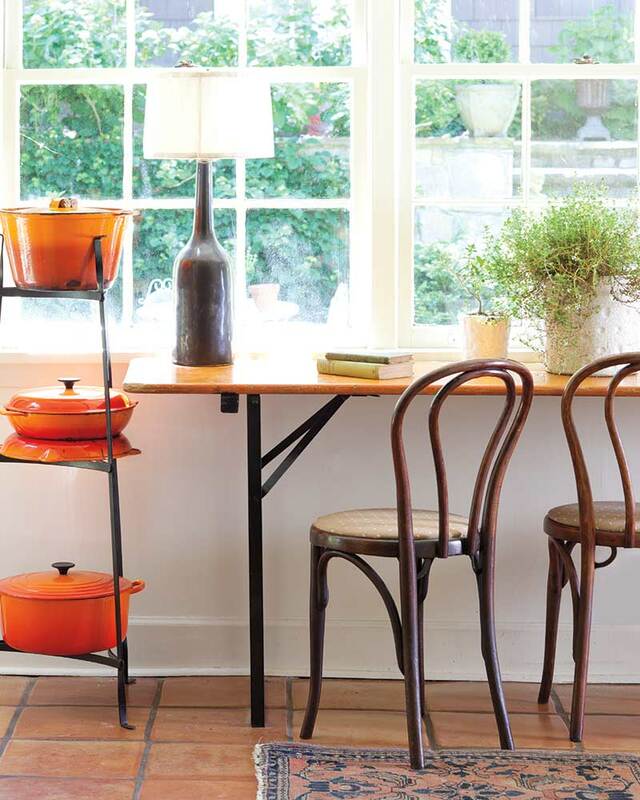 From vivid orange cookware displayed in the kitchen to bright bouquets of fresh-clipped blooms scattered throughout the house, Linda has created a home that is both relaxing and cheerful. 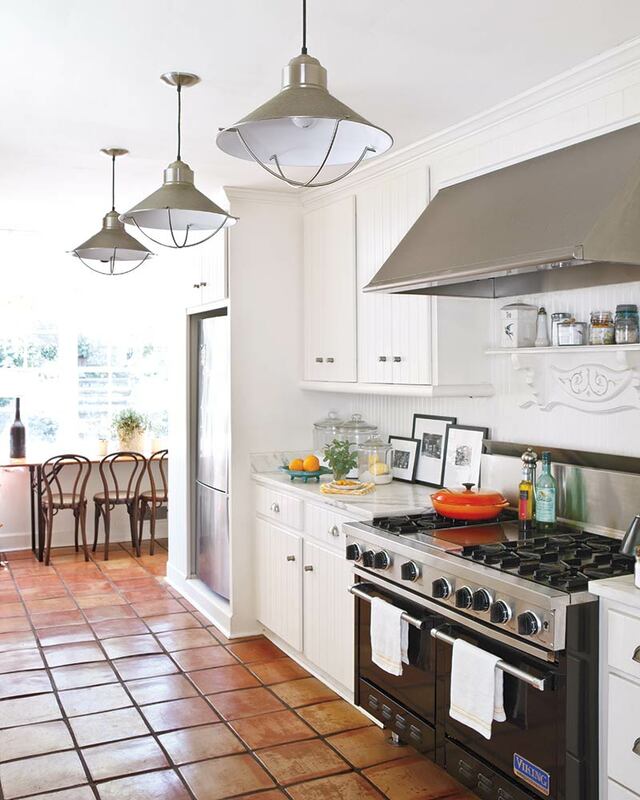 Vintage wooden chairs have a fresh appeal when paired with an antique gateleg table in the kitchen. 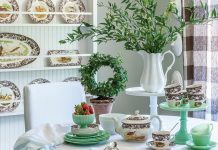 Meanwhile, vintage-style furnishings and wares get a breath of new life with contemporary upholstery or when used in a new way—like a delicate vintage pitcher or urn becoming the perfect vessel for displaying fresh-cut flowers. 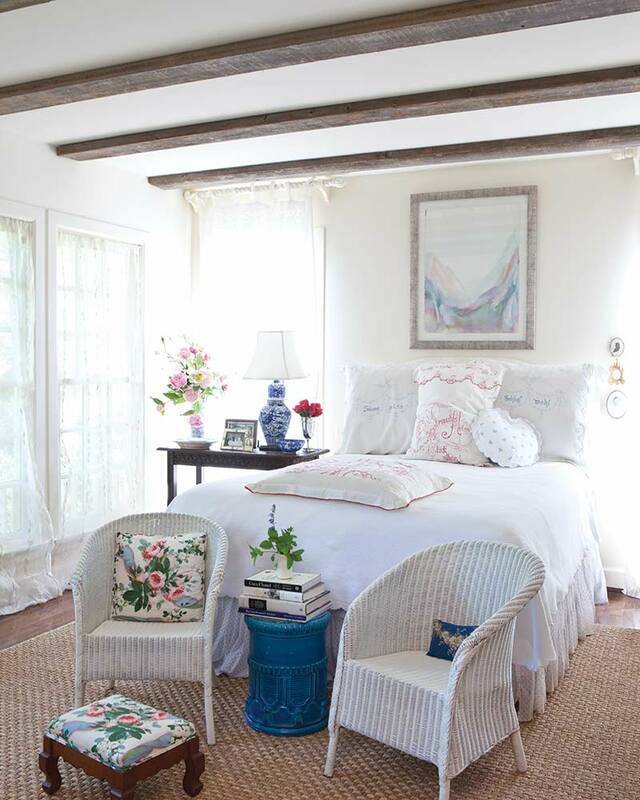 In the master suite, Linda accessorized the bed with vintage linens found in an antiques shop in England’s Cotswolds. 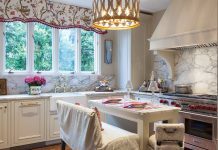 Shams featuring red turkey stitch bring a sprinkling of color to the sunlit space, as do the blue-and-white ginger jar lamps and floral cushions propped in a pair of wicker chairs. 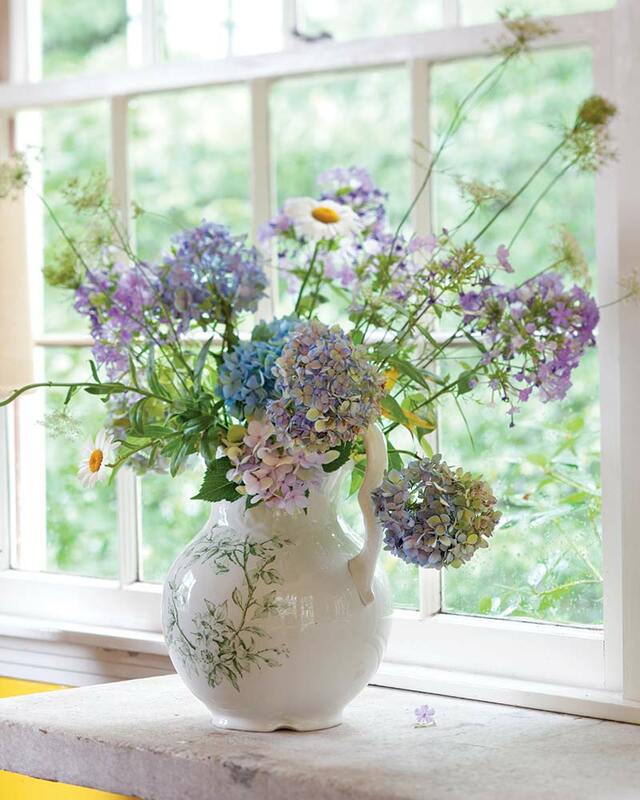 Fresh-cut flowers from the garden add both color and charm. 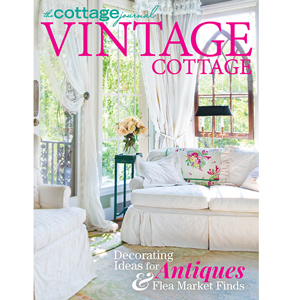 For more vintage style ideas, take a look at the special issue below!